These unique broken tulips have the distinction of not resembling your standard tulip. They have an interesting petal shape and were first developed in 1816. 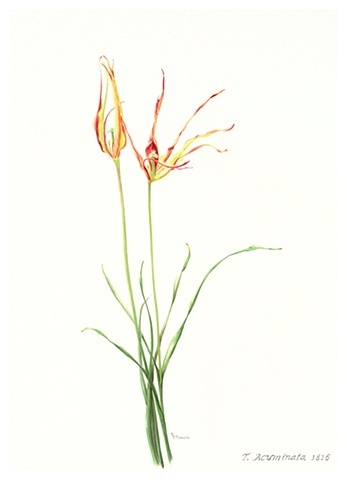 This painting is part of my heirloom tulip collection and there are prints available. This piece is framed with all archival materials, white mat with a natural maple frame.